Two Ontario Provincial Police cruisers are seen in this undated file photo. 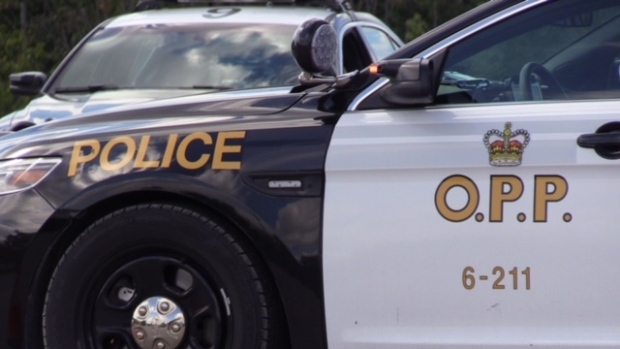 A man is due in court after police in Wellington County say he fled a RIDE spot check. They say officers followed him and were eventually able to stop the pick-up. An officer allegedly found the man to be drunk and arrested him. Police say a search turned up an open can of beer in the vehicle and cannabis in the man's coat pocket. He's charged with drunk driving, having an open can of alcohol in the vehicle and having cannabis readily available. His licence was lifted for 90 days and his vehicle impounded for seven. The man's impaired-driving related arrest was one of four over a four-day period in Wellington County.